Out of the several different kinds of work platforms like scaffolding, shoring, and sidewalk canopies, each has its own applications. The Scaffold Resource team specializes in all of the above, and we have some impressive hoist projects under our belts. Read on if you’re interested in taking a closer look at our hoist projects . Every hoist, scaffolding or shoring project involves some challenges, but we look forward to conquering them at Scaffold Resource. When we were involved in the renovation of the Constitution Center, which involved two million square feet of renovation in the interior, we were never inclined to back down. Our hoists got workmen to the 11th floor and the roof from grade level, all without interfering with walkways on three sides of the building. The schedule was aggressive, but our team of scaffolding professionals was unfazed. Some hoist projects take longer than others, but the wait is always worthwhile. Our hoist project at the Health and Human Services Headquarters went through multiple phases over several years. We needed to work on parts of the building while other sections still operated as usual, and the installation of our work platforms had to be meticulous, because of the public traffic. We were also close to power lines with high voltage, so safety precautions were at an all-time high level of importance. There were a few challenges associated with the Hay Adams Motel hoist project, including building a hoist over loading docks. We also had to work around the existing structure and add scaffolds between hoists and the building. No matter what kind of restrictions are put in place, Scaffold Resource will find a way to make sure your project is completed. You can learn everything you want to know about our hoist products and our scaffolding rentals serving Washington, D.C. by calling Scaffold Resource at (301) 924-7223. You can also stop by and our website to learn about our sidewalk canopies and shoring. 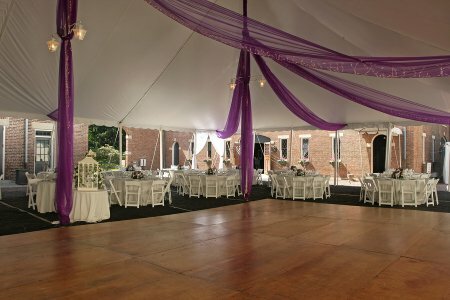 For individuals who are unfamiliar with the types of scaffolding rentals available, the term “dance floor scaffolding” can be a little misleading, as it isn’t intended to hold up an actual dance floor. Rather, it’s a scaffolding system that features a very large platform at a consistent elevation, instead of a series of smaller platforms that ascend vertically. There are a number of reasons why you might need dance floor scaffolding. It’s typically used to allow work on large structures with a consistent height. For example, a crew might use it to create an elevated work platform above a school or community pool. The platform allows the crew to renovate the ceiling safely. Dance floor scaffolding is also useful in venues such as concert halls, school assembly rooms, historic buildings, churches, and cathedrals. You can find safe dance floor scaffold systems in Washington, D.C. at Scaffold Resource—a leading supplier of scaffold rentals. Get in touch at (301) 924-7223 with any questions you might have. Every business owner who needs scaffolding rentals should be aware of OSHA’s scaffolding safety requirements. You can get an introduction to the topic when you watch this featured video. 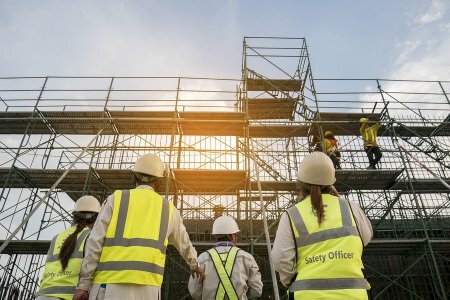 It discusses some statistics that highlight the prevalence of scaffolding-related falls among injured and killed construction workers. OSHA’s guidelines are lengthy, but the basic requirements are that employers must ensure: Workers are protected by fall prevention systems, and the scaffold towers and stairs meet the minimum specifications in manufacture and assembly to reduce the risk of a collapse or fall. Other requirements involve non-slip surfaces, worker training, and safe rope descent systems. Worker safety is our top priority here at Scaffold Resource in Washington, D.C., and we have the impeccable track record to prove it. You can call (301) 924-7223 to discuss a scaffolding rental or construction scaffolding sale. Selecting the right scaffolding to rent can make the difference between a safe, time-effective worksite and a potentially dangerous one. There are many factors to consider when choosing the right type of scaffolding . 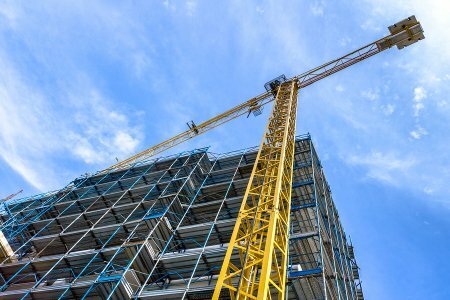 Even if you’ve rented these systems before, you should take the time to discuss your job site with the scaffolding rental company to make sure you get the right equipment for your workers’ needs. System scaffolding is a modular structure designed to be quickly built and quickly taken down. This makes it ideal for commercial projects on a very tight deadline and budget. System scaffolding is versatile, thanks to the standardized, modular components. You can use it for all types of buildings and special events. If you’ve taken on a ceiling renovation project, dance floor scaffolding is likely the best choice. It enables your workers the security, safety, and convenience of a single work platform. This work platform is large enough to accommodate multiple workers at once. Quite often, the upper floors of a building under construction need to be worked on, but the stairs haven’t been built yet. The solution for this is stair tower scaffolding. This system will temporarily take the place of the staircase, enabling workers to safely and easily move between floors. A stair tower scaffold may only extend upward a few stories, or it could rise all the way to the rooftop. Stair towers are also ideal for major renovation projects on existing multistory buildings that require the stairs to be removed. As the name implies, wall access scaffolding is ideal when your workers need to access the interior or exterior wall of the structure. Tube and clamp systems involve the use of tubes that comprise the framework , with braces for support and special couplers to connect the components. Sturdy work platforms feature guardrails to protect workers. For all of your private commercial and public building projects, you can put your trust in Scaffold Resource. Our crew of highly trained installers builds and takes down safe, reliable work platforms in the Washington, D.C. area. Contact our office at (301) 924-7223, and we’ll help you find the right construction scaffold for your job site.